Nothing in Damascus was as expected. Convinced there would be food shortages, I had vowed to eat very little during my stay. 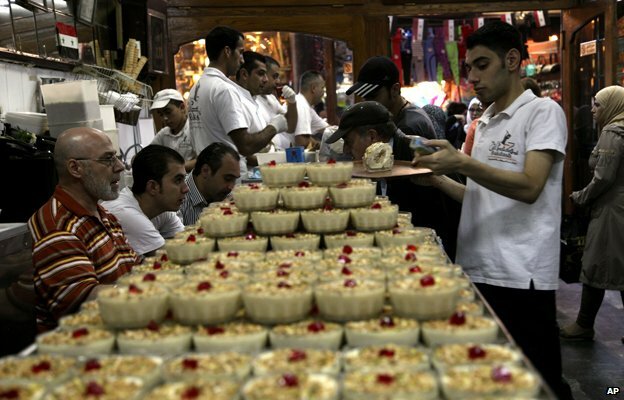 Yet while the besieged suburbs are starving, the central food markets are overflowing. 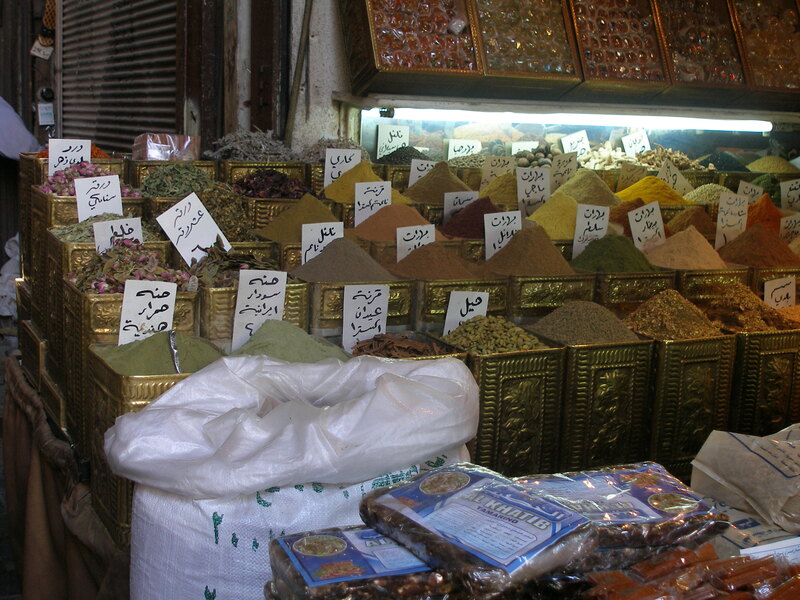 The fruit stalls of Sharia al-Amin boast bananas from Somalia, the Bzouriye spice markets are buoyant with top-quality saffron from Iran and walnuts from Afghanistan. Lebanese wine and beer are freely available. Prices are higher than before, but still largely affordable for most people. Sandwiched between the heavily-armed checkpoints, street stands selling thick hot Aleppan sakhlab, a sweet white drink, are everywhere. Cafes and pastry shops are bursting with sticky delicacies, the famous Bakdash ice-cream parlour is buzzing with people as ever. To judge from the carpets of cigarette butts on the pavements, smoking rates, always high, are higher than ever. In the main thoroughfare of Souq al-Hamidiya all the usual clothes and flamboyant underwear outlets are still thronging with customers – not a single boarded shopfront – quite a contrast to the average British high street. Sporadically, in the days as well as the nights, shelling is disturbingly loud, but strangely offstage. President Bashar al-Assad’s artillery is fired from Mount Qassioun, directly above the city, towards the eastern Ghouta region – the scene of last year’s chemical attack, whose pockets of resistance are still a thorn in the side of the government. Villages there have suffered a food blockade for the last 18 months. But by all accounts there is much less noise than there was a year ago. 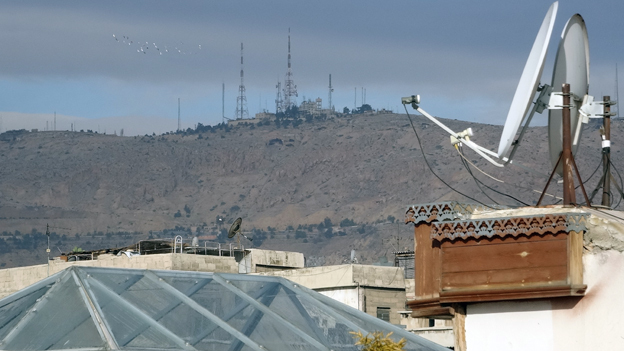 From that point of view, very gradually, life in central Damascus is getting better. Yet from other points of view, just as gradually, it is getting worse. Beyond the 3.5 million who have fled the country as refugees, a further 7.5 million have been internally displaced – added together that accounts for half of Syria’s entire population. Homes which are left empty, if they have not been flattened, are vulnerable to immediate seizure by others – usually the owners have no idea who has moved in and it is too dangerous to go back and find out. Almost as often, but rarely reported, Syrian homes are taken by profiteers, exploiting the weak or the absent. 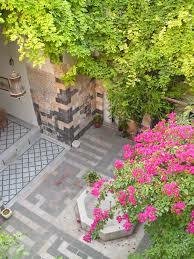 My own house in the Muslim quarter of the Old City of Damascus, bought and restored in 2005, fell victim a few months ago. It had been lived in for more than two years, from the summer of 2012 to the summer of 2014, with my consent by displaced friends whose homes had been destroyed in the suburbs. Now they had been evicted by my ex-lawyer and the previous owner conniving together to take it for themselves and split it 50:50. Determined to get it back I recently returned to Damascus to throw them out and after 15 roller-coaster days, I succeeded. Things can happen surprisingly fast in Syria. You go to meet the judge one day, and he comes to inspect the house the next – without payment. 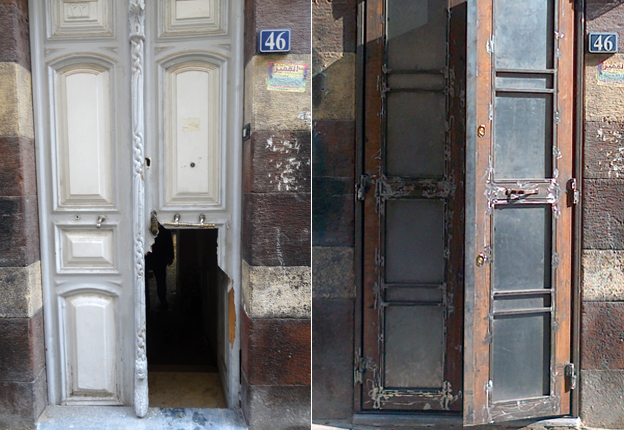 A blacksmith made a new metal door to cover the smashed antique one. Among the many moments of high drama were two break-ins, six changes of lock, the installation of two metal doors and the exposure of the bogus security reports which had led to my friends being evicted in the first place. Bit parts were played by a fake general on a forged 25-year lease, and a Baathist single mother in the house with her newborn baby. It was with her that I felt most threatened by violence. But in some ways life goes on almost as normal: dining with one friend in her 50s, whose car was lost in a random mortar attack, she explains how she now accompanies her 16-year-old nephew by taxi to play in the orchestra at the Opera House to make sure he is not picked up and enlisted into the army. At the checkpoints she clutches his cello between her legs so that the soldiers will not take it. Another friend works for the national electricity grid: his job is to repair electric cables damaged in the clashes. Over lunch at his home with his family, he tells me how one of his team stepped on a mine and was blasted to pieces in front of him – the man next to him had his eyes blown out. He himself was lucky, escaping only with shrapnel in his intestine. He spent two weeks in hospital, two weeks at home recuperating, then went straight back to work. His attitude is simple: anyone who damages Syrian infrastructure is hurting the Syrian people. The alleys of the Old City are full of children playing football. Many go to the school round the corner from my house. Such is the overcrowding – some say Damascus’s population has risen from four to seven million because of internally displaced refugees – that their school-day is from 11:00 to 15:00, with one shift before them and another shift after them. They have 50 to 60 in their class but their enthusiasm to learn and to do their homework is undiminished. The only other foreigners I saw on the streets were Iraqi Shia, men and women led round in groups to visit the shrines by a man wielding an orange lollipop sign. When I met an old friend at the tourism ministry who still works at his office every day, he explained how this kind of religious tourism is now all they have left, some 200,000 pilgrims a year, after 8.2 million foreign visitors in 2010. He expresses no political views – he is just someone who has chosen to stay and do his job as best he can, like millions of others. All over the country, even in ISIS-held Raqqa, I was reliably informed, government employees now draw their salaries direct from cash points on specific days, causing long queues outside the banks. For the last two nights when I was finally able to sleep in my house in Old Damascus I experienced what everyone else has to suffer on a daily basis – scarcely four hours of electricity a day, no gas, no hot water, limited cold water. It was tough, yet strangely invigorating, crossing the chilly courtyard to wash in a dribble of icy water, warmed by the knowledge I was surrounded by loyal neighbours who were looking out for me. Without them I could never have retaken my house: they protected me, helped me at every turn. A crisis brings out the worst and the best in people. What I found in Damascus was that a genuine kindness, a shared humanity and an extraordinary sense of humour are well and truly alive. Decent Syrian citizens are together doing their best to fight against immorality and corruption. Morale, in spite of everything, is high. Laughter keeps them sane. Not once did anyone mention sectarianism. “DA’ESH” (the Arabic acronym for ISIS used across the Middle East) was universally condemned as beyond the pale. How much longer, as the war approaches its fifth year and the number of greedy opportunists in society increases, such neighbourhood camaraderie can survive is an unanswerable question. 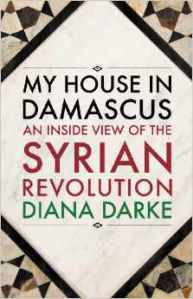 But after this fortnight in Damascus I am more optimistic than before. 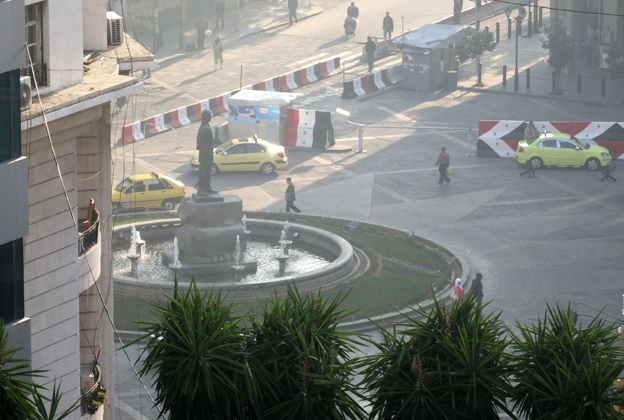 I’ve always been wondering how life is like in Damascus amid the ongoing civil war. Thank you for this rare insight of the other side of the war: about the people who have no political agenda, who stay because they love their land, who make good neighbors. And congratulations for successfully reclaiming the ownership of your house! This was an Incredible read. I had no idea. Reblogged this on pangawa79's Blog. Hi and thank you for informing us how life is in Damascus with danger all around. It has really given me a new insight about life. Pingback: Good Reads | Hello World! At 2018, three years later and the awful attack on Ghouta, how is your house and the friends you had staying there as refuge? Is there any end in sight? is there any hope to depose of Assad? Thank you for your posts which help us understand this part of the world a bit better. Thanks for your comment. The house is fine, as are the friends living there. Things can change remarkably quickly and I still believe that ordinary Syrians will take matters into their own hands once the chance arises. The current level of violence and brutality will not go unanswered and there will be a backlash against the regime, even as it proclaims its victory, because the fear barrier has been broken and the genie cannot be put back in the bottle.